Alastair Deane - Mary Jane Deane North Wales Removal specialists. A successful company requires trained staff and at Deane's we are no exception. The British Association of Removers Training Services (BARTS) provide courses for office personnel and Removal crews all Deane's employees must take & pass a Health & Safety & / Manual Handling course. 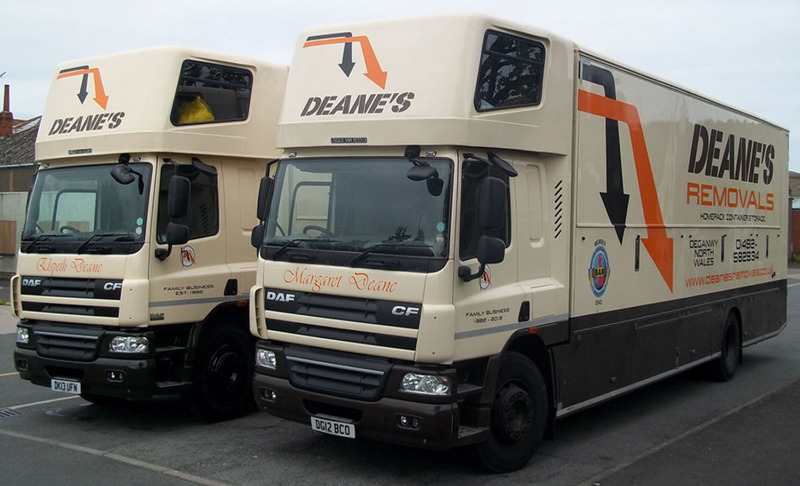 Deane's removal vehicles are purpose built for the transport of household furniture and effects and carry no other goods. They are fully equipped with blankets and ties for protecting furniture while in transit and piano trolleys and sack trucks for moving heavy items. Specialist equipment for grand pianos, safes, etc. are held at our depot and a full range of cartons in various sizes are used for packing books, glass, china & soft goods hanging garment carriers are used for clothes. Tissue, bubble wrap & plain paper (not newspaper) are used for packing delicate and fragile items. 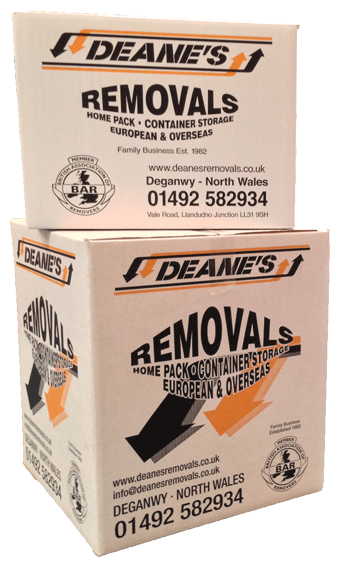 With our fleet of specialist removal vehicles, trained staff and a modern purpose built container store we at Deane's can provide you the customer with a removal and or storage service tailor made to meet your requirements.